Bette Midler is returning to star in “Hello, Dolly!” for six weeks this summer. Midler will return to the show from July 17 through the end of the show, which producer Scott Rudin said will close on August 25, 2018. David Hyde Pierce will also return to his role as Horace Vandergelder alongside Midler. Bernadette Peters, who replaced Midler in mid-January, will end her run on July 15, as will Victor Garber, the current Vandergelder. “Bette Midler is a crazy woman and I can’t wait to get back on stage with her,” Hyde Pierce said in the release. Gavin Creel will also return to the show on May 8 after he had taken time off to recovery from back surgery. Santino Fontana has been filling in as Cornelius Hackl. “Hello, Dolly!,” directed by Jerry Zaks and choreographed by Warren Carlyle, opened on Broadway on April 20, 2017 with Midler as its star. While Midler was with the show, it broke box office records, regularly bringing in above $2 million each week. However, grosses have fallen from those highs, typically bringing in a little more than $1 million a week, since Midler left the show. 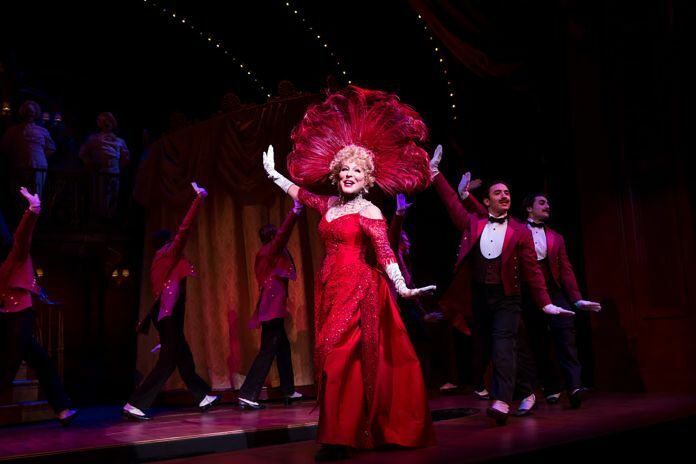 The show has a national tour beginning this fall, with Betty Buckley starring as Dolly.